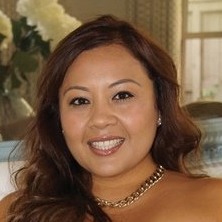 Yvonne Sotelo was born and raised in Indio, California where she currently resides with her family. She is a woman after God's own heart, and she is passionate about helping those who have suffered from child abuse to reach their destiny. As a former victim, Yvonne understands the many emotional behaviors and the confusion that can follow being victimized. Her heart aches for those who are suffering and who are held in captivity by hopelessness and isolation. Yvonne's goal is to share her testimony to inspire people to forgive themselves and their abusers, so they can be free to live the life God has created for them. In 2010, Yvonne started her journey, serving in a Women's Bible Study and the Singles Ministry in Mesa, Arizona. She is currently serving in the Children's Ministry in San Diego, California. With a Master of Arts in Education and a Bachelor of Science in Psychology, she has helped many people find their path by coaching, guiding, and inspiring them to get out of their comfort zones and pursue God. Yvonne will forever give all honor and glory to Jesus Christ for all of her accomplishments, and she looks forward to reaching out to the lost and brokenhearted. Her hope is for everyone to be able to spread their wings like a butterfly and become the people God intended them to be.